Greenhouse for Nothing, 2018, Sculpture; iron, glass and soil, 45 x 30 x 43(h) cm. 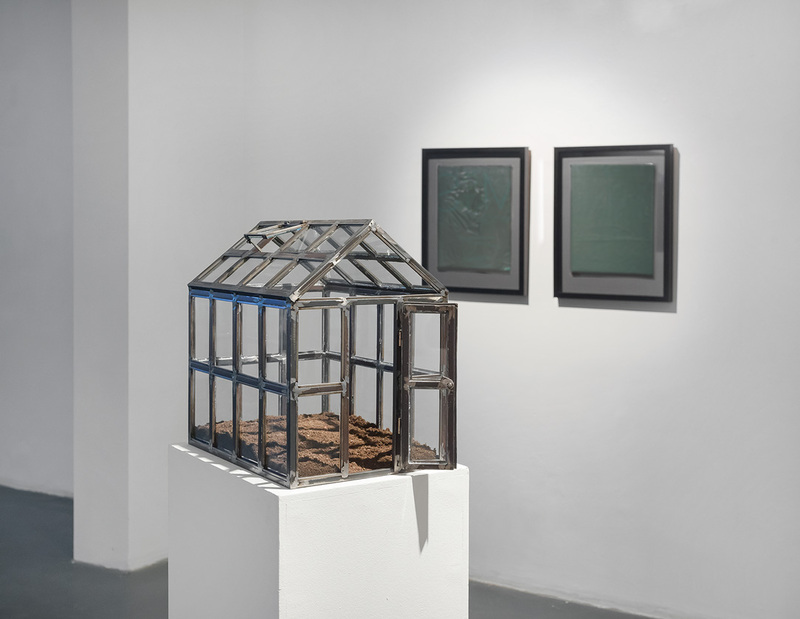 Greenhouse for Nothing, 2018 is a sculpture made of iron, glass and soil, a kind of terrarium. Starting with the aesthetics of greenhouse and how this architectural form artificializes our relationship with the nature, the work proposes to re-consider the function of this structure constructed for cultivating plants to overcome the adversities of the climate.